UDM Downloads > Mix & Match! A Memory / Concentration game which gives you more power than ever. 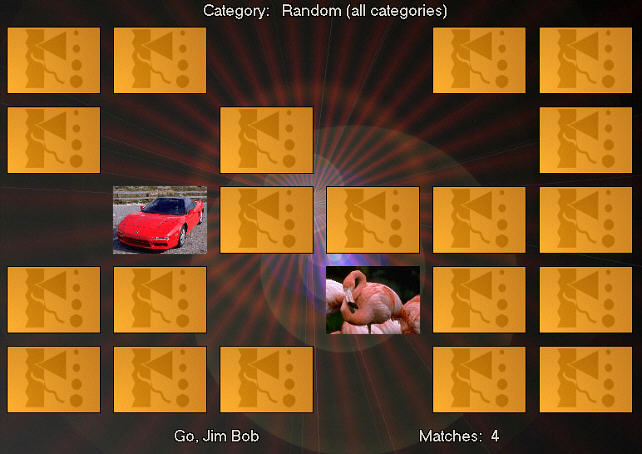 Use your own pictures, and create your own categories! Game supports 3 game sizes, multiple players), Timed game option, and Intermittent Shuffle option (many of these are disabled in the shareware version). Purchase Mix & Match, and the registration code will also work for Now Hear This! Two games for the price of one!